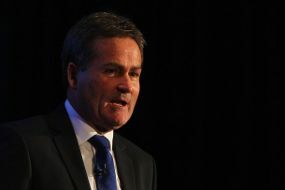 London – After Andy Gray who was sacked by Sky due to cases of abuse comment to woman’s assistant referee, now turn partner presenter Richard Keys, who resigned from the famous television station. But it is not dismissed, but resigned. Gray yesterday officially dismissed by the Sky even though his contract had finished the season as a commentator from 2012 to 2013. This was done by Sky in order to neutralize the case and keep their good name. It was Gray and Keys in the water off chance, questioning the capability Sian Massey, the assistant referee women who served in Wolverhampton versus Liverpool match last weekend. That’s what then invited criticism everywhere. Established after Gray, now turn Keys who left Sky Sports. He also directly go through sorry for all the words that offend Massey, who had served twice in the Premier League this season. “I am very sorry for my actions and the attack yesterday. That is wrong and should not happen,” said Keys as reported by Sky Sports. “I’ve thought long and hard to reach this decision. And this is the right time to go. Stay here without Andy would be impossible,” said Keys. “I will remain proud of my career at Sky Sports and thanks to those who have cooperated with me. I pray for Sky Sport remain successful in the future,” complete Keys. The exit of one of the famous football presenter in the realm of England that was made was disappointed from the Sky. Although he has issued a comment no commendable, but Keys still hailed as one of the people who raise Sky Sports until now.